What Happens When Speaker Wires Are Crossed? What If You Connected Wrong? 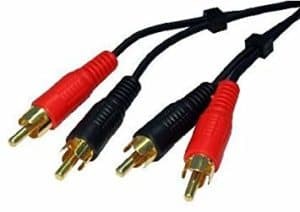 You would think connecting your speakers or amplifiers with speaker wires is a straightforward process, and in most cases, it actually is. You can find yourself in a tight spot, however, if you do not know which speaker wire is positive. It can be disastrous to sound quality if you reverse polarity by mixing up the wires. It is always a good idea to take out time, do your research, and make sure you connect the right wire before you go ahead and power up the system or test it. Many speaker cables are actually sold with color-coded insulations, and these are the best kinds available in the market if you tend to mix up wires. However, even if you mix up the connections and forget the right polarity, there are a number of ways that can be used to determine positive wires from a negative wires. You can always swap the wires and go back to listening to good music. If you've already purchased speakers, then continue reading to learn how to set up the wires. If you haven't purchased speakers already, however, check out our take on Sony 2.1 speakers and Polk Audio PSW 10 to help you pick the perfect speaker! Here are some of the easiest ways to ensure that you connect the right wire to the right connection point. It is imperative that there should be no tampering with connections in the speaker’s terminal. Speaker wiring can, in fact, be connected to either terminal. They can also be changed any time, but the wires need to be original for this to hold true. One of the easiest ways to connect wires correctly is to check the connection points and connect the right wire. Terminals are always labeled positive or negative at the connection points of every speaker. If you are not too deep in the installation process and can still glance at the back of the speakers, then take a quick look at the terminals. You are looking for clear markings here to determine the polarity of the terminals and to understand the wire to be connected. For those not aware of terminals, there are generally of two kinds namely binding post types or springs clips. Terminals are almost always on the back to make it easier to connect wires and keep them out of the way. 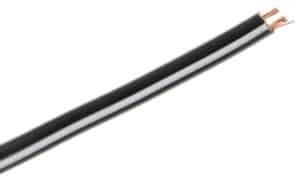 Now, it can be difficult during the installation process, but once you get the right wires connected, you do not have to bother about connection points again. Terminals are also color-coded for easier identification; however, this is not always the case. Manufacturers usually color code positive terminals as red and negative terminals as black. You can also look for a small ‘+’ sign that indicates a positive terminal or a small ‘-’ sign to display a negative terminal. If this does not work, then you can also look up the polarity of most wires from the manuals that come along with speaker systems. In many cases, clear markings are made on top of the deck as well. It is imperative that you match your speaker wires with the same polarization as a source. 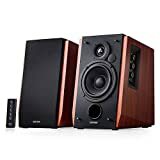 The speaker terminals and connecting speaker wires should be polarized the same. It is also important to note that if you have a high-end speaker, then there will most likely be bi-wire connections. This means that there will be 2 terminals for positive wires and 2 terminals for negative wires. You will have a total of 4 connection points, and it is important that you do not mess up the polarity in order to receive good sound quality. Usually, all speaker wires have only two parts for you to deal with; a positive and a negative. However, there are some speaker wires like RCA or Optical/TOSLINK kind that is different. Even with two options, you always have a 50% chance of connecting the wrong wire. By connecting the wrong wire to a terminal, you can seriously affect system performance. It is more difficult to gauge which speaker wire is positive in camparison with locating the terminals. Terminals are easily marked for convenience and clarity. However, it is very rare that you would be able to identify which speaker wire is positive at first glance. This is because there are no set standards of color coding or obvious markings on the wire. You can easily tell which speaker wire is positive by checking the wire itself. Most of the high-end positive speaker wires are see-through or bare. In other words, the insulation is clear. It is easy to check the bare wire colors and material, or even markings. This can help you make out easily which speaker wire is positive or which one is negative. The most common color coding used in wires are copper and silver. Usually, silver wires are with a positive polarity, while copper wires have negative polarity. Many speaker wires will also come with unique indicators to tell them apart. You need to make sure that you look carefully at the connecting points on wires to make out which speaker wire is positive. Also, many wire manufacturers clearly leave markings on see-through wires. If you look closely, you should be able to see (+) or (-) symbols. In some wires, you would also be able to find clearly marked text identifying a wire as positive or negative. Once the polarity of a wire is identified, make sure you put color coded tapes around them. You can use the same color coding as manufacturers use for terminals. You can mark the positive ends with red tape and the negative with black. In case you do not have different colored tapes, you can always label the positive ones by taping around them. If you have a jumble of wires, then to make your life easier and convenient, tape or mark all your wires so that you never have to wonder about their polarity again. Look For the Striped Wire. Another way to determine which speaker wire is positive is by checking for stripes on the wire. This is an excellent way to determine polarity when insulation is not clear. Every speaker wire set has a striped wire and a solid color wire. It is important to note that the stripe on the wire can be of any color. If your wires are original with professional installation, then the striped wire will usually be connected to the negative terminal. In case your wires are not see-through or they do not have color coding, then you shall have to check for polarity by using batteries. This is possibly the simplest way to check polarities of your wires. All you need is a common household battery that can be AA or AAA. Batteries have clearly marked polarities. Connect the wires to the battery and look for a thump sound or mild static. If you have connected the right ends, then your speaker will pick up a mild current, hence the soft thump or static. Be sure to mark the wires with a marker, pen or tape once you identify its polarity. If you have amplifiers or receivers, then you need to make sure that these are connected correctly. It should connect the positive terminal on the amplifier with the positive terminal on speaker. This holds true for negative terminals on all equipment as well. Fortunately, any wire can be used to connect the terminals together as long as they match up. 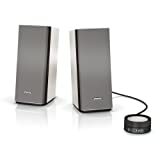 You do not have to worry about which speaker wire is positive or negative. However, it is a good idea to maintain consistency in wire colors and markings when you match the terminals in order to avoid confusion later. Bass response suffers the worst due to polarity reversal. When a signal is out of phase, the bass speaker moves out when it should move in. There will be no punch, and the music will lose its muscularity. Trebles are essentially high frequencies. When a speaker is wired wrong, they lose their focus. This causes soundstage to sound less defined between the speakers and results in an airy treble. Many people prefer this result; however, it leads to bass and imaging being impacted adversely as well. Reversed wiring can make music lose its impact by causing dynamic stereo information to collapse. 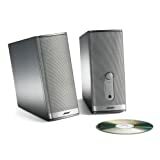 Cancelation usually occurs in sub-woofer installations when two speakers are placed inches apart. 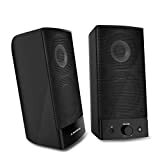 If the speaker is in-phase, and the other is out of phase, then they will end up canceling each other’s bass capabilities as they destructively compete. It would not take long for you to figure out you connected the wires wrong once you power up the system. Incorrect wires can affect a system’s performance adversely. It is always possible to re-assign wires, and you can do this easily. All you have to do is swap the wires if you believe polarity to be the issue and get your speakers back in phase. It will be a good idea to make clear markings on the wire at this point. For more information about configuring positive and negative speaker wires, click here. Previous articleAomais Sport II Review: How it Compares and Overall Value?